This week on the podcast we have Emily Vollmar Doxtad of Rooted Boutique, a contemporary women's clothing store located in the unlikely location of Holstein, Iowa (pop. 1,396) just off the newly finished four-lane Highway 20. Rooted carries a collection of quality clothing and handbags that is not only unique to the area, but much of Iowa. Brands such as Matt & Nat, Lovestitch, LaMade, Alternative Apparel, BB Dakota, and Cupcakes and Cashmere, offer customers modern clothing in a rural location. 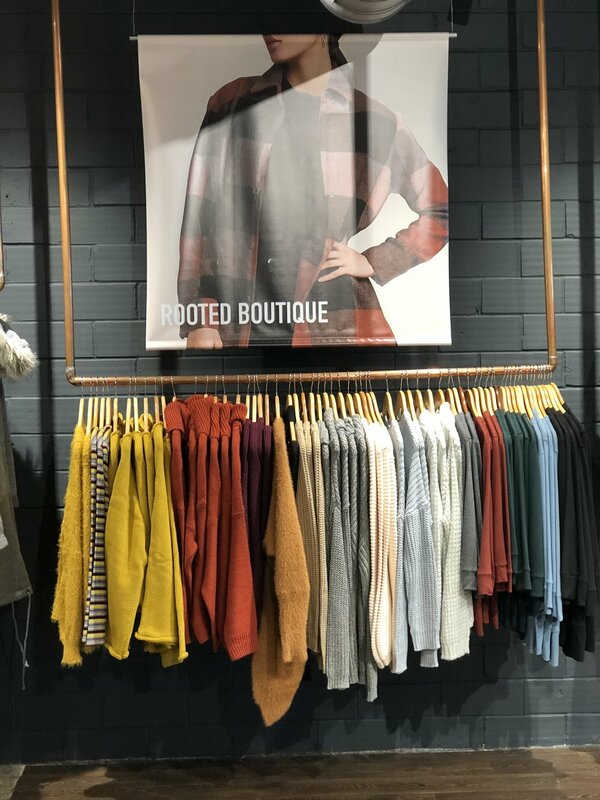 Rooted provides a unique shopping experience with a lounge type dressing room area, one-on-one customer service, and styling advice. As one customer put it, "Shopping at Rooted is like shopping in a friend's closet." Rooted showcases the exclusive jewelry line 'Classy Creations', by local jewelry designer, Rae Soellner. The line dazzles with genuine stones and gems from Brazil including raw agate, druzzies, amethyst, crystal quartz, moonstone, pyrite, onyx, aquamarine, emeralds and more. Rae is often in the boutique and welcomes custom orders. The jewelry line, which includes statement necklaces, diffusor beads, earrings, wire wrapped pieces, and more- is designed to pair perfectly with Rooted clothing and each is one of its kind! Also unique to the boutique, is a collection of embroidered Iowa State and Iowa clothing that is designed 'in house' and embroidered locally. These pieces are produced in low quantities and are truly special and unique! At first step into the boutique, you are greeted with the earthy aroma of Rooted's signature blend of essential oils. The blend of Patoulli, Ylang Ylang, and Vetiver promotes feeling grounded, empowered, and centered. 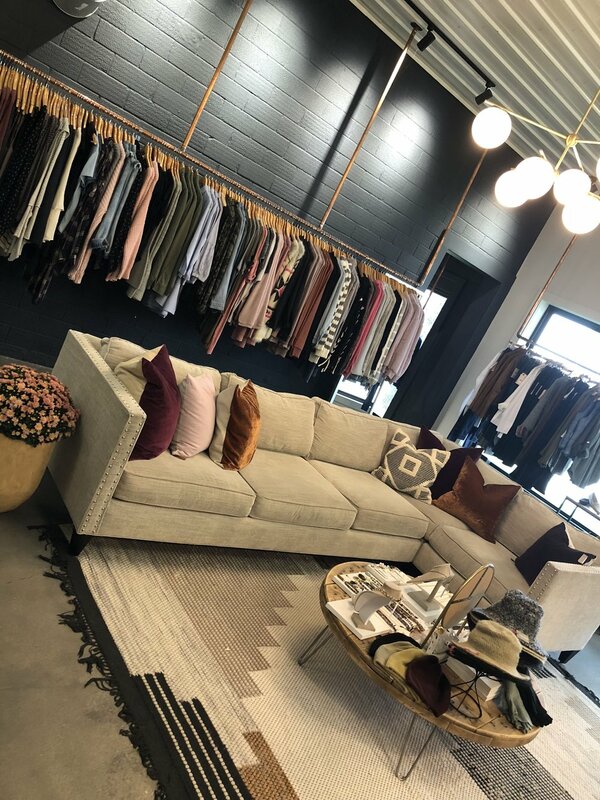 The blend not only smells heavenly, it also represents the vibe and purpose of the boutique...to empower women, through clothes and a fun and supportive environment, to look & feel their best! We think clothes can help express on the outside who we are at the 'root' of ourselves. Women have so much going on in their lives between children, household management, and careers, that clothing shouldn't be an issue. We want to help women prep their closets with 'go to' pieces like awesome fitting jeans, layering basics, and transitional/timeless styles that will help them rock everything else in life! and follow the boutique online on Facebook and Instagram! ESSAYS FROM WEST OF 98: WHAT DO WE ASPIRE TO?